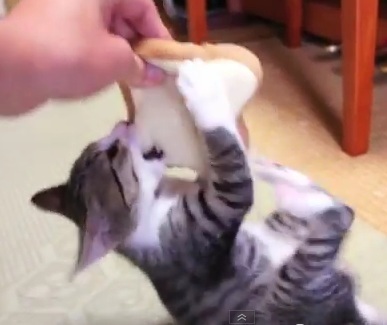 Multi-talented kitten Ohagi plays a good game of soft bread toy fetch. OH to have that energy. Ohagi you silly kitty.